Talking points: Is Pintu Mahata Mohun Bagan's ace this season? The Mariners registered their first win of the campaign this year. Mohun Bagan A.C squared off against Indian Arrows at the Barabati Stadium in Cuttack. In what was rather a pretty straightforward victory, Mohun Bagan registered their first win of the season and climbed to the third position on the table. 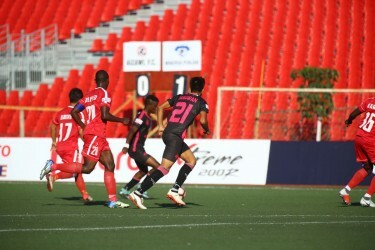 Bagan started the game on the front foot and pinned Arrows down to their deep defence. Kisekka, Dicka and Mahata created a lot of chances during this period and Aser Pierrick Dipanda Dicka opened the floodgates at the 30th minute with a headed goal. This was followed by another one seconds before halftime when Dicka converted from the penalty spot after Arrows defender Boris was adjudged to handle the ball inside the box. The game opened up more in the second half as Arrows ventured furthered out but in the end, they only chased shadows as the Mariners ran away with a comfortable victory. Here are a few talking points from the game. Mohun Bagan started the game with the intent to dominate the ball right from the word go. They circulated the ball well and were calm and patient in possession. There were many fluid exchanges and play, especially during the first half when Arrows dropped deep in their own half and afforded Bagan midfielders space to toy with the ball. Sourav Das and Yuta Kinowaki caught the eyes of the spectators, controlling strings from the middle of the park. They were very cool with the ball at their feet, never harried out of possession and built up impressive attacks from the back and even in the attacking third. It might seem otherwise from what the scoreline suggests but Indian Arrows were very disciplined and maintained their shape for most of the game. This was especially very evident in the first half when Bagan launched attack after attack and had the likes of Narender and Anwar Ali not have had impressive displays in defence, the score-line could have easily been far worse. Kim Kima and Kingsley Obumneme weren’t tested in defence enough by Arrows strikers but they managed to put out strong displays when it came to building from the back. They strung ground passes to the Bagan midfielders and even found the forwards with long balls on a couple of occasions. The Mariners were helped by Arrows forwards not pressurising them but their building out from the back well is very crucial to Sankarlal’s plans of possession dominant football. Fullbacks Bagui and Ambekar however, were caught out of position a few times especially in attack when they were found missing at the wing overload. Talking Points: Is Akash Sangwan Minerva Punjab's next big thing? 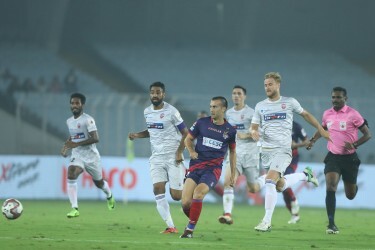 Floyd Pinto’s decision to contain Mohun Bagan in the first half took the game away from Arrows’ hands even before it began. Their forwards crossed their own midfield line only on a handful of occasions and that tells you all you need to know. In the second half, however, when Arrows were chasing the game their strong play down the wings was very conspicuous. 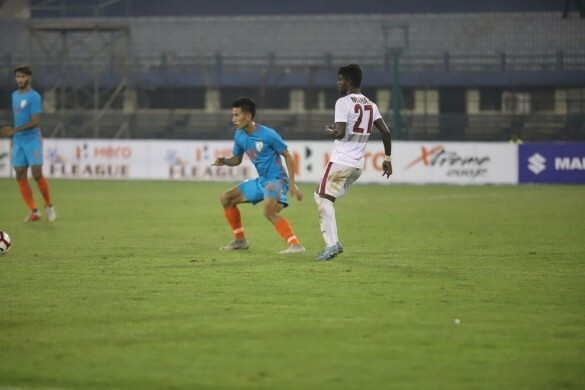 Boris Singh Thangjam had an excellent run where he beat the Bagan, made a 40-yard run from one wing to the other and almost teed up the ball for Aniket Jadhav to score. Pinto needs to figure out when to launch attacks from the wings from the next match onwards as a complete reliance on deep defending is bound to take a negative toll as had happened today. Ever since his introduction at the beginning of the season, Mahata has been somewhat of a revelation. It is clear that Sankarlal puts a lot of faith on the youngster and he has repaid that trust with his performances. Mahata was great on the wings on Saturday night as he tormented the Arrows defence on one against one situations. The youngster also made several crosses into the box, created chances for Kisekka and Dicka and the penalty that Dicka converted came from Mahata running at Boris. With that being said, however, he needs to improve his decision making in the box.